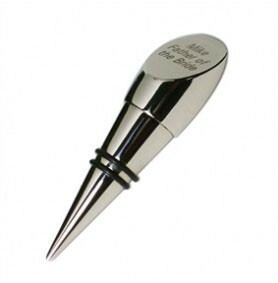 Personalise this silver plated wine stopper with with any message over three lines, upto 10 characters per line.Please enter your details into the text box below. A truly lovely gift for Dad for any special ocassion. Please allow 3-4 working days (UK ONLY) from placing your order for delivery of your personalised gift.